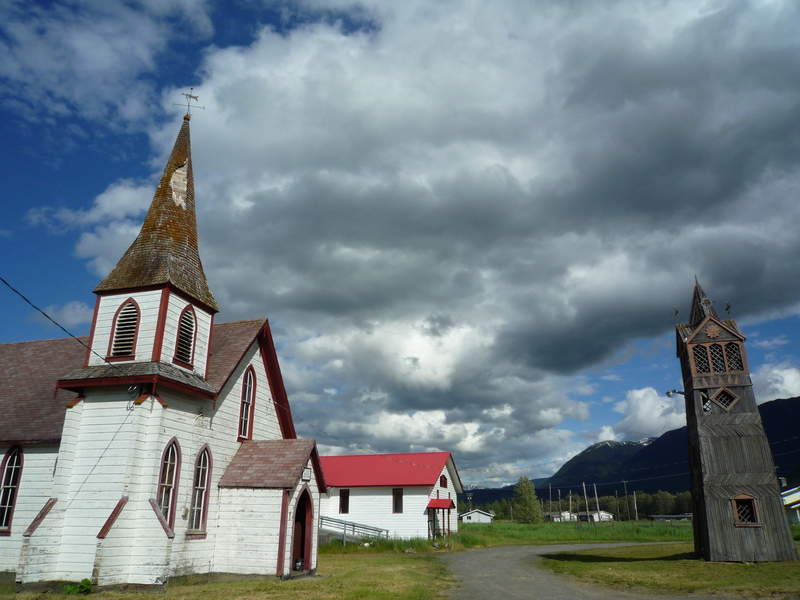 This is an Anglican Church in Gitwangax (Kitwanga) in northern British Columbia, Canada with traditional totem poles in the background. UNESCO lists the indigenous language spoken here as “severely endangered“. In Genesis, Sebastião Salgado has photographed the endangered, the threatened and the rare. Looking at his photographs is like looking through windows. Salgado has opened the blinds into a wild, disappearing, and otherwise hidden world. Here, I relate his photographs to language. Languages carry social meaning, both for the group – or person – who produces the language, as well as for the group – or person – who perceives the language. With language, a culture can distinguish itself from others; a person can stand out as unique from those with whom he or she is conversing; and a passage of time can surface as different from all those which preceded it, and all those which are to follow. Language is intrinsic to our identities: we express and perceive identity through language. Crucially, when a language, or a form of a language, is lost, so too is an identity, or a form of an identity. Just like the animals and landscapes Salgado photographed, many languages are endangered, threatened and rare. UNESCO has documented that, if nothing is done, half of the over 6000 languages presently spoken will disappear by the end of this century. These are the languages of the people Salgado captured in his photographs, but also those of the many other colonised areas of the world, such as the First Nations languages in northern Canada (see picture of Gitwangax, where Gitxsanimaax is endangered), the aboriginal languages in Australia, and the indigenous languages of South America. We see these threatened cultures in Salgado’s windows, hovering on the brink of assimilation with our Western world, and we know, ultimately, they are who they are because of language. And yet – Salgado can’t take a picture of language. Language is this enormous abstract entity, which essentially loses all meaning unless it is represented across the dimension of time. It is impossible to take a “snapshot” of language as Salgado does of a smile, a gesture, a glance. To understand language, to produce language – and all that which is intrinsic to our identities – one must, at least to a certain extent, acquire some sort of knowledge of that language. If language is recorded, and a slice extracted, as a visual moment is through a photograph, it loses its meaning. Looking through Salgado’s windows, one cannot hear the voices of the people he has photographed. Language, something so all encompassing, so powerful, is silent. From my perspective, a way to give endangered languages a voice, in one’s own life, is to support multilingualism. The process of language loss is, according to UNESCO, “neither inevitable nor irreversible: well-planned and implemented language policies can bolster the ongoing efforts of speaker communities to maintain or revitalize their mother tongues and pass them on to younger generations“. Peter Austin of SOAS has coined the personal concept of a language footprint. To improve one’s own language footprint, one can, for example, learn a new (perhaps even a minority) language, avoid products and activities that give people no choice other than to use dominant languages, support increased language learning in one’s own country, and learn about the world’s diversity of languages. For me, such small steps may be a personal way to help counter language loss, and therefore, ultimately, all that is lost therewith.